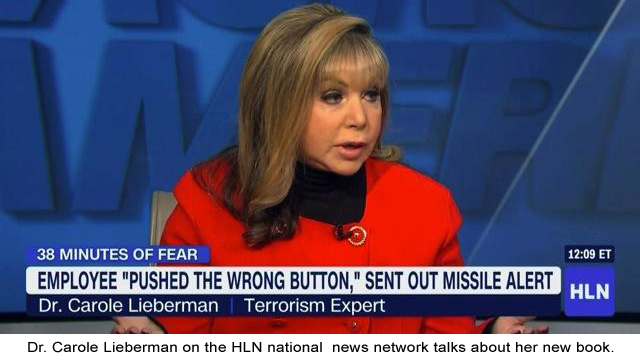 Carole Lieberman, M.D., M.P.H., internationally renowned as ‘The Terrorist Therapist’, is a Board Certified Beverly Hills psychiatrist. 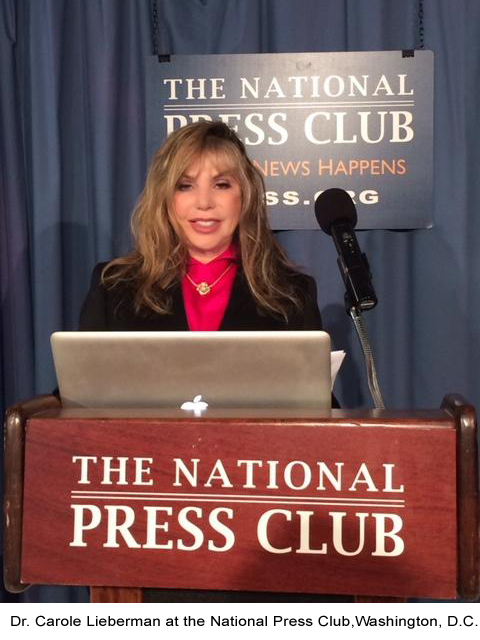 Her book, Coping with Terrorism: Dreams Interrupted, was published in London as the anniversary edition of 7/7, their most notable attack. 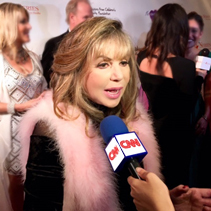 Dr. Carole is a three-time Emmy-honored TV personality on top shows, radio talk show host, and best-selling author. Dr. Carole has served for many years on the Clinical Faculty of UCLA’s Neuropsychiatric Institute. 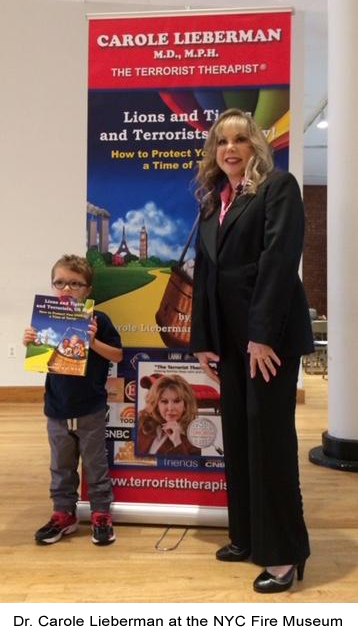 Terrorism is the latest fact of life that you need to help your child understand in order to keep them safe. As parents, grandparents and teachers, you have undoubtedly been hoping that you could avoid having to explain terrorism to the children you love. But, ever since 9/11 changed our world, it has become increasingly evident that we need to find a way to help our kids understand the news that bombards them, in a way that encourages them to become more resilient. 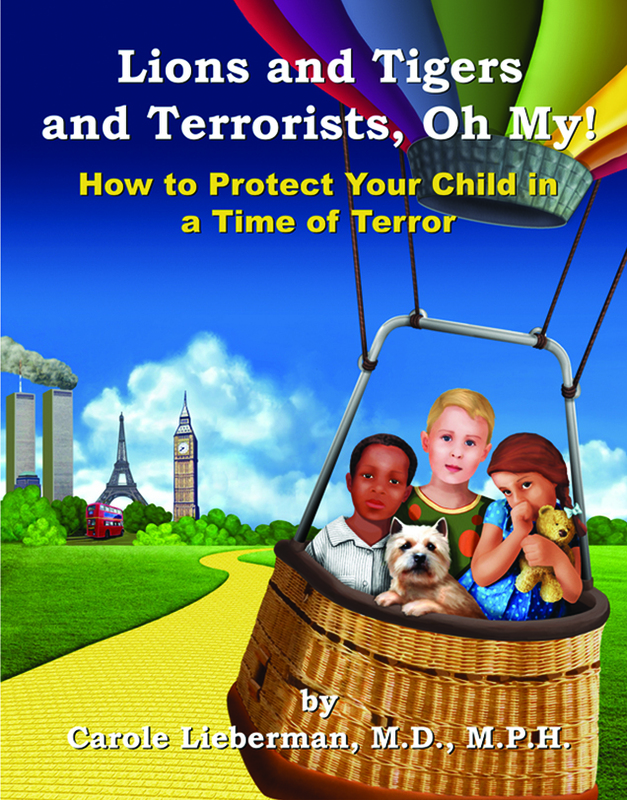 Since you can no longer pretend that terrorism doesn’t exist, this book is the tool you need to provide your child with a gentle introduction and with ways to help them stay safe.